Over the last few years we have been involved in a number of discussions about the differing ways in which some youth workers have gone solo. Sometimes made redundant, sometimes frustrated with the restricted emphasis on targeting they have pursued an independent path. In the first of what we hope will be a series of reports KIrsty Lowrie, one of the Directors of Aspire in Arts explores the emergence of this project. 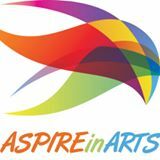 ‘Aspire In Arts’ is a not for profit organisation set up by qualified Youth Workers. Our team has delivered youth work provision within the public and voluntary sectors for many years, delivering youth projects within a variety of settings with young people with multiple needs (young people who are in care, youth justice, NEET, homeless and those that need every day support and advice). The reduction of youth work delivery, particularly within the statutory sector has left a huge gap in youth work provision. Kirsty Lowrie notes, “We set up Aspire In Arts Ltd as we have continuously seen a massive gap in youth work provision. There is a variety of targeted youth schemes being delivered across the Country, which, no doubt are doing a great job, although many have very stretched resources. However, our approach is more inclusive and extensive. We know that at some stage, most young people need support, advice and guidance throughout adolescence. We know, through our widespread experience and research that arts based activities are an effective method of engaging young people on an individual and group work basis, particularly those who are deemed “disengaged”. Our workshops enable all young people to express themselves within a safe environment, be it through singing, song writing, instrumentation, poetry, dance or whatever art form complements the individual. Through this initial engagement, particularly those “hard to reach”, we are then able to help the young people to move forward on to positive life choices. We know that many young people need consistency and contact with one main professional can truly make a difference, that they know they have access to this support, whatever their age or circumstances. We’d welcome further contributions and discussion on the advantages and disadvantages of of setting up independent projects to deliver youth work.